View More In Coins & Medals. Easy to use and easy to understand, the 2018 U.S. Coin Digest is the most comprehensive color guide to United States coin issues on the market. 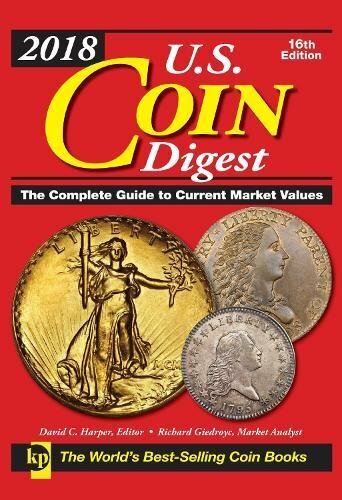 Providing professionally vetted values, complete coin listings, detailed coin images and unique "lay-flat" book design for no sweat searches, U.S Coin Digest is a superb reference for both the beginner and expert collector. Whether sorting through a jar of coins or appraising a massive collection, U.S. Coin Digest is the ideal reference for the job.